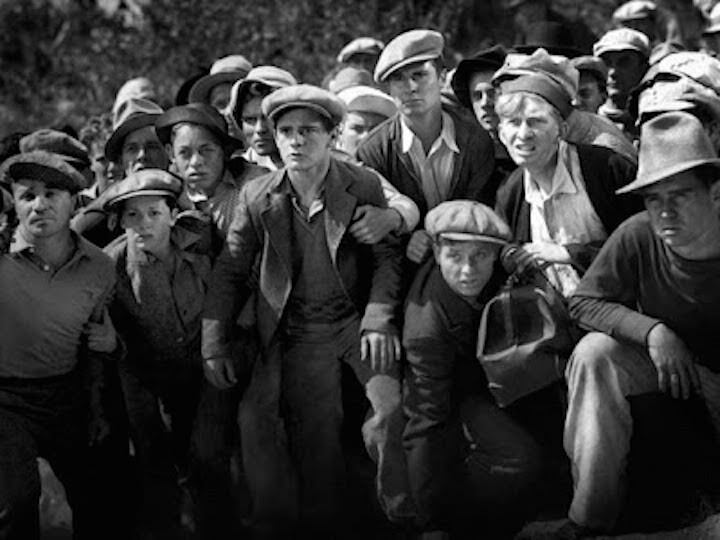 The reckless, fast story of WILD BOYS OF THE ROAD made in the delightful precode late period of 1933 by William Wellman is wonderful if not under appreciated example of Warner Brothers (Actually First National) reading “today’s headlines”. This current approach was used even in advertising and publicity lending authenticity. 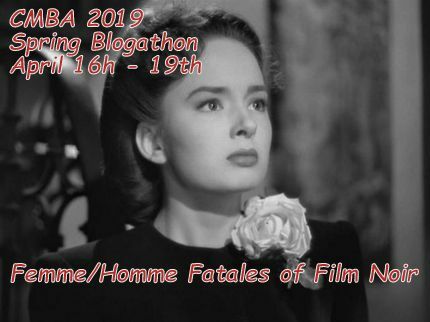 Director Wellman shot the story much like a pulp adventure novel with speed, finesse and love for the subject matter all within sixty eight minutes although the version i saw was seventy five minutes. 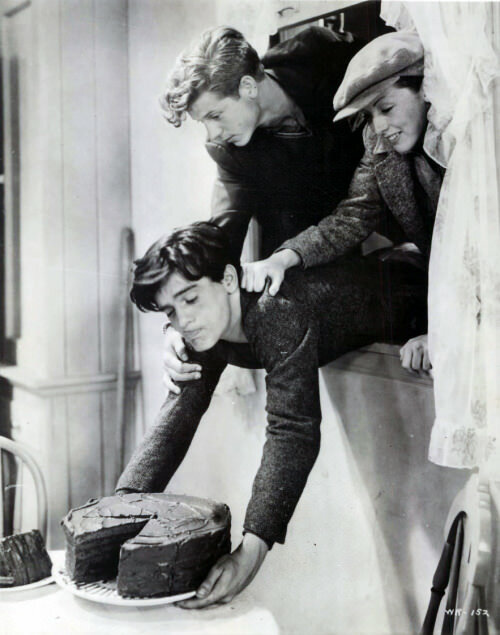 The picture also features some wonderful performances from many “B’ level actors particularly Frankie Darro as Eddie and Edwin Phillips as his lifelong friend Tommy. 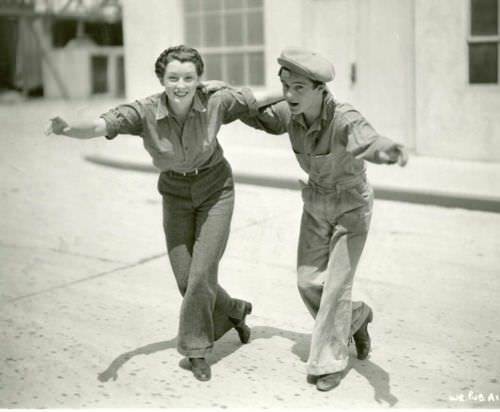 The picture opens in wise cracking 1930’s fashion with Eddie and Tommy going to a dance actually a frolic with their female friends Grace (Rochelle Hudson who also was in ARE THESE OUR CHILDREN? 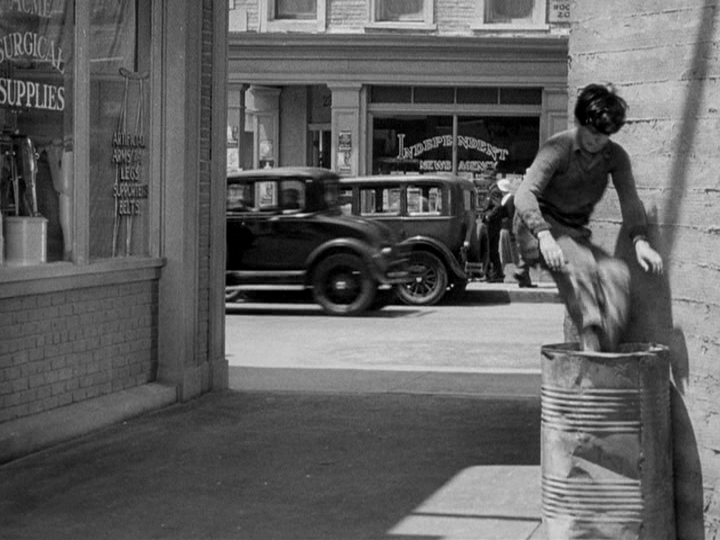 made in 1931 reviewed earlier) and good time girl Lola (Ann Hovey). The bunch arrive in a clapped out open top car decorated with witty sayings like “Rolls Royce bought and paid for, no brakes” or “Bear hunter mostly teddy bears.” This the picture of carefree youth with snappy clothes yet there is still the chill of not having money. This is mentioned when Tommy reveals that he cant afford the entrance fee as mother has been out of work for months. This is the thirties and as my father once told me you ‘Bid high and sleep in the street.” You put on the show and find a way to do things . Eddie tells him his father could get Tommy job at the Cement factory in spite of the fact he doesn’t think Tommy could lift a heavy bag. The picture turns darker when Eddie returns home to find his father James Smith (Grant Williams) and his Mother (Claire McDowell) sitting up as a desk going over bills. Eddie notices his mother has been crying which she tries to hide from him. Eddie asks his father to help fine Tommy a job when his Dad tells him he has been laid off. It will also not be easy for a man of his age to step into another position so they will have to economize. Eddie begin cutting back by asking his mother to return a new suit that was ordered that his father insists on getting anyway. Eddie gives his mother a playful wink that he really didn’t like the suit so it is returned along with the huge sliver of pie Eddie took from the fridge. This is the first of many sacrifice that will happen in the story as things begin to change for the worst. The months progress and still no work for any of the people so Eddie and Tommy hatch a plan to hit the road by rail to find work also not be burden to their families. This is not before Eddie tearfully sells his beloved car to junk man to give the money to his father. The scene in reminiscent of many Andy Hardy series moments between Mickey Rooney and Lewis Stone with hidden tears and hugs. 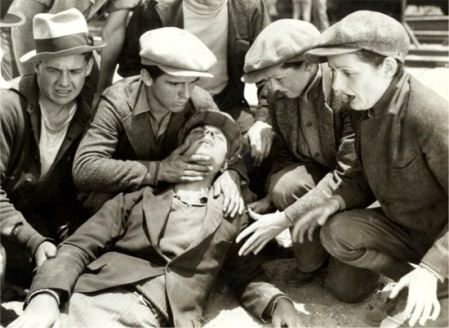 The odyssey is one filled with danger and adventure as Eddie and Tommy meet Sally (Dorothy Coonan) who’s mother is dead and on her way to Chicago to live with a relative. This does not go so well as once again the police intervene caused Eddie , Sally and Tommy to flee out a window carrying their chocolate cake meal. Eddie and Tommy continue to ride the rails meeting others kids in a growing group all looking for work or running away. The constant harassment by the Law at every stop forces violence and fear of capture. 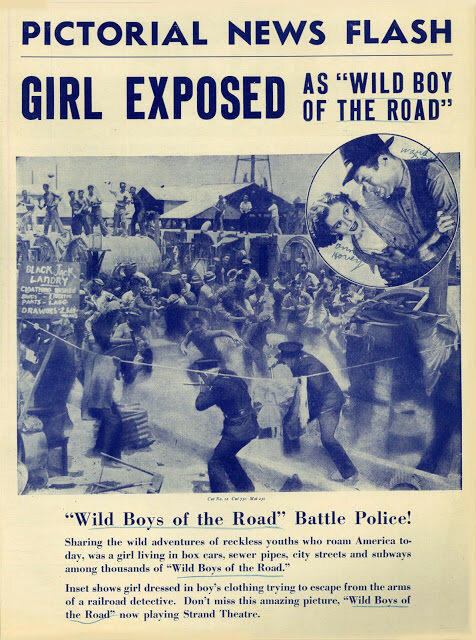 One young girl rather than run stays in a freight car with a fire only to be assaulted by a railway brakeman (Ward Bond) to which the gang of boys exact revenge. The stakes have now grown as murder has been committed so society must now be paid. 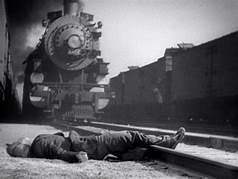 Desperate times as the adventures grow and the cost in magnitude triggered by still one of the most horrific railway accident on film causing Tommy to lose his limb. 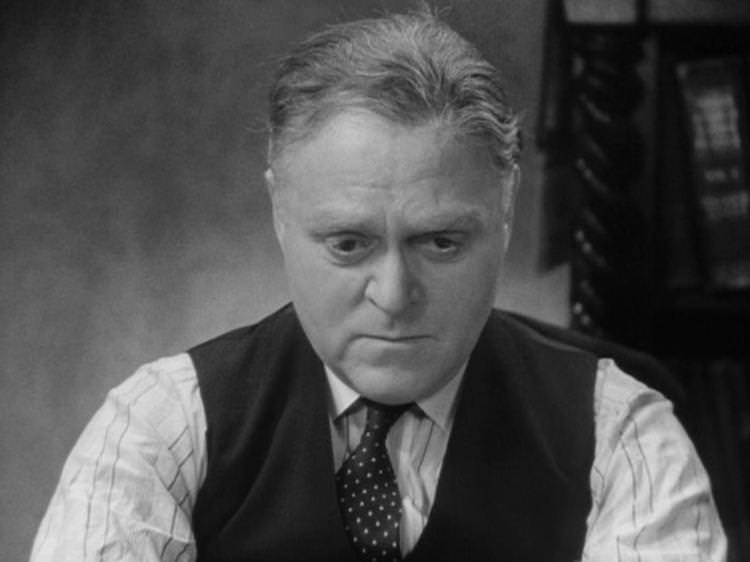 The full force of the Law intervenes later when Eddie become unknowingly involved in a full fledged crime resulting in a speech that could have been done by James Cagney or Pat O’Brien. 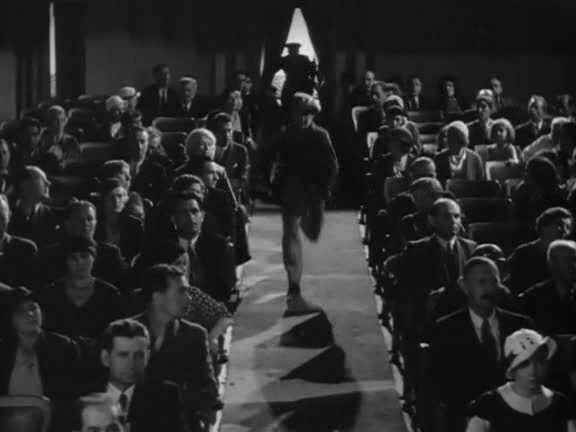 Interesting sequence is an escape from police between Eddie and the police in a Movie theater complete with audience and James Cagney Picture on screen. 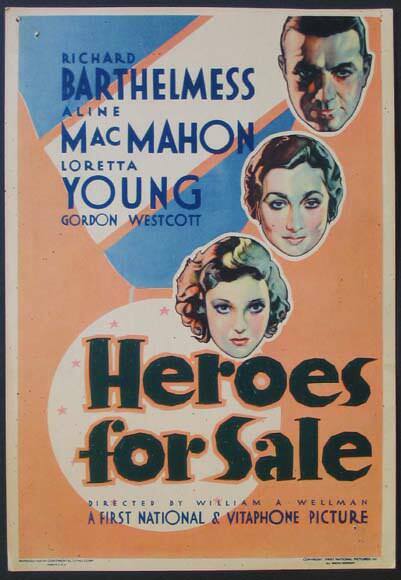 The picture is similar in theme with HEROS FOR SALE made in (1933) also directed by William Wellman with bigger stars Richard Barthelmess, the underappreciated Aline MacMahon and Loretta Young. 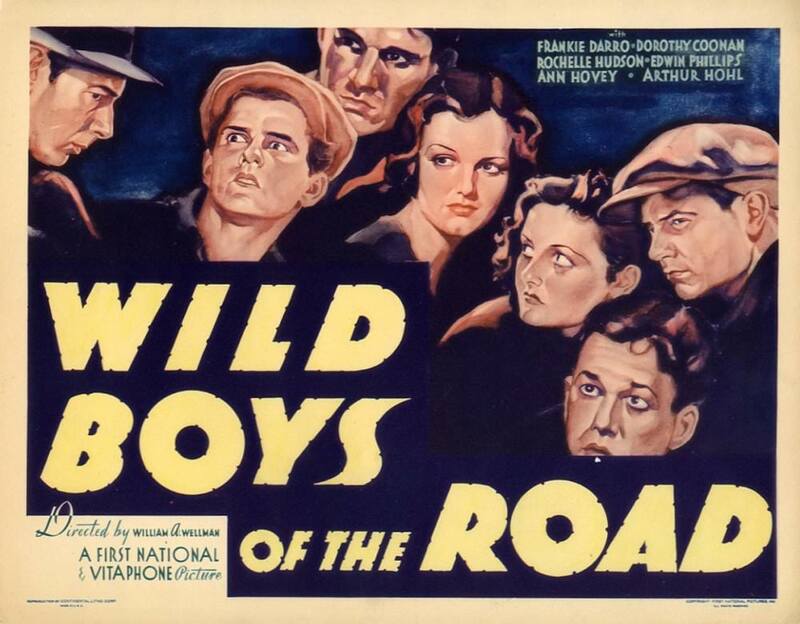 WILD BOYS OF THE ROAD features some wonderful individual performances beside the interplay between Frankie Darro , Edwin Phillips and Dorothy Coonan which is the key. Stirling Holloway soaking his feet in pail of milk while waiting for a train. He is harassed by Black children also waiting for a train that he will have pretty feet. Holloway in a poignant moment looks at his distinctive face saying he may have put the “wrong end” in. 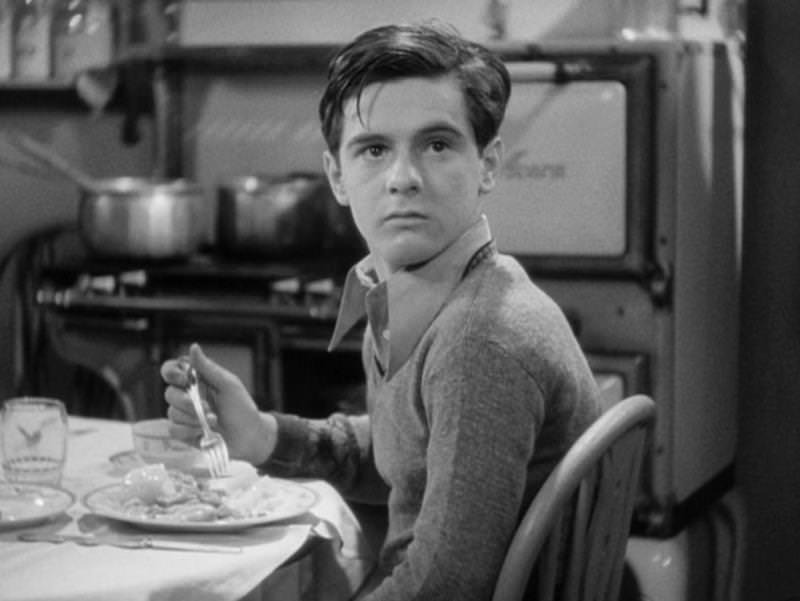 Frankie Darro is wonderful at fifteen when he did this role. One can see the physical power he as in the picture with various jumps and slides. Darro may have been a ‘Poor mans James Cagney to some yet he as a distinctive style and movement that did furnish him well in a career Edwin Phillips was played Tommy has a good face and screen presence to continue yet sadly he only made three pictures ending in 1954. 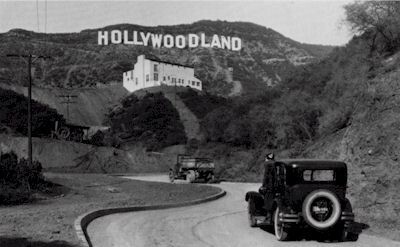 Dorothy Coonan who was a “Ziegfeld Girl” at the time gets to exhibit her skills in tap in brief scene to beg money accompanied by harmonica. 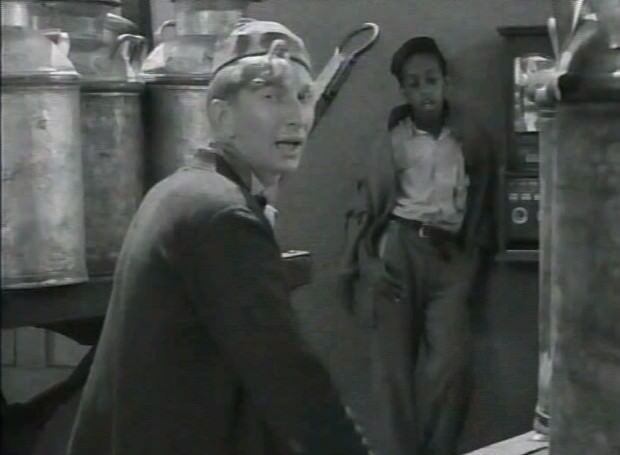 You can also catch a small glimpse of Alan Hale Jr (Left side of frame) as one of the train boys long before he became “The Skipper Jonas Grumby” on GILLIGAN’S ISLAND. It is also the thirties so the treatment of some of the types is not always correct such as the black children also on the run are left out the solutions. Most likely put in the picture to show the problem of lack of work was universal to all or that horrid thought of the “White society” being in similar low circumstance. 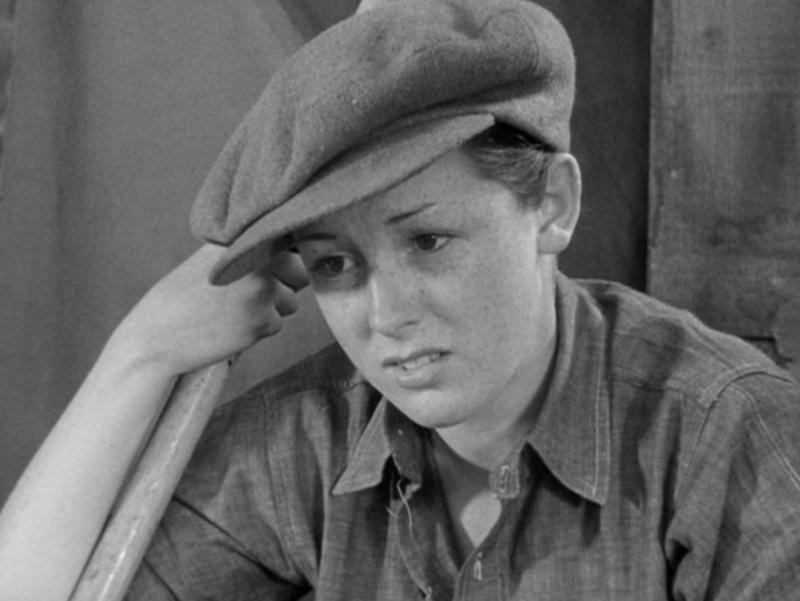 Dorothy Coonan’s character of Sally is dressed as a man thought out the picture even when tap dancing for money. Sally is also seen still inhabiting the “Pink Ghetto” as she is seen sweeping and doing housework in whatever shack they live in. 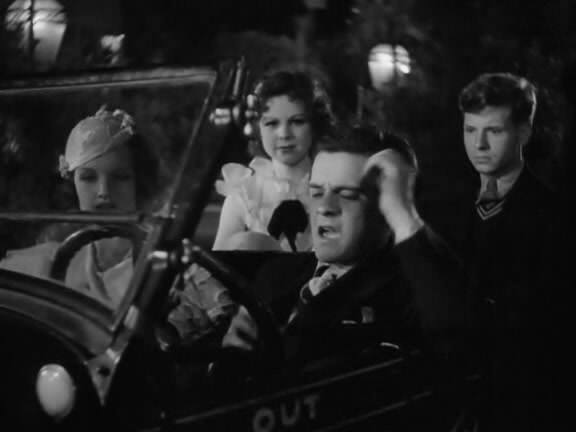 Dorothy also gets to give a cute, turn of the nose smile even at the film conclusion that is mimicked by an authority figure. Sally doesn’t change but both Eddie, Tommy and the other males all do. 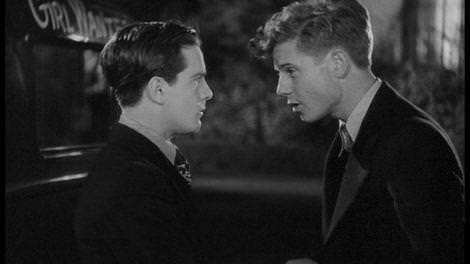 WILD BOYS OF THE ROAD packs a lot of story and action in its brief running time. The dialogue moves with pace that was the style of film making back then. Strong choices of locations in rail yards and freight cars that one can almost taste the dust in your throat as you make this journey. Well worth trip even in a box car. Wild Boys of the Road shows us that some people choose the outlaw life and others are forced into it. 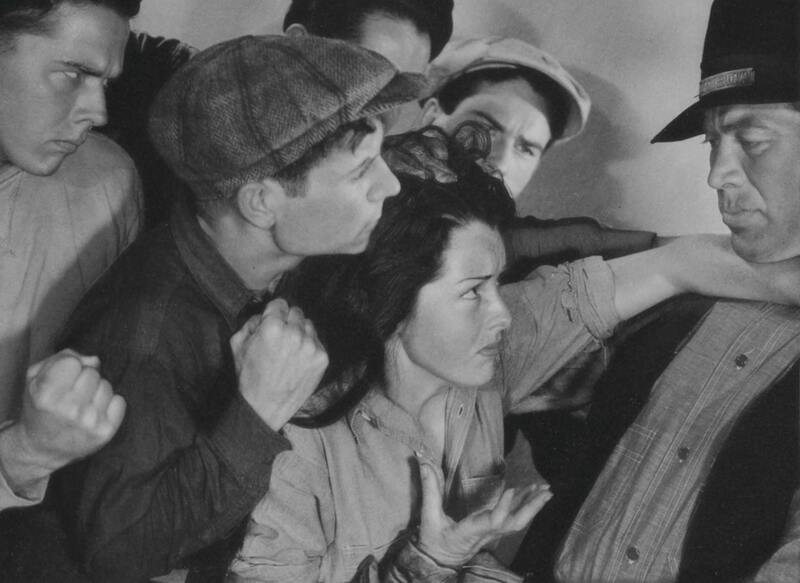 William Wellman was justifiably proud of this film, along with The Ox-Bow Incident. He chose both these films to screen for audiences when he was promoting his autobiography in 1974. One of their stops was Toronto and my father and I attended. It was a treat to see the great director and his wife Dorothy Coonan. Amazing to have seen them on large screen with those two present. I’ve never seen this movie, but thanks to your excellent review I will. 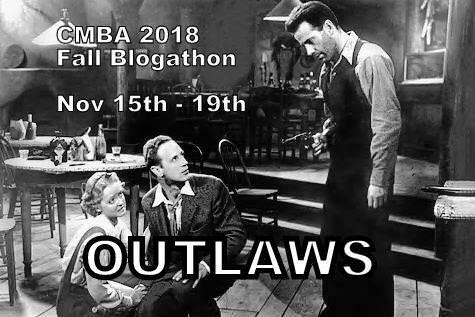 Sounds like a must-watch for those who are interested in Wellman, gangster movies, and Warner’s social problem movies. BTW, welcome to the CMBA! 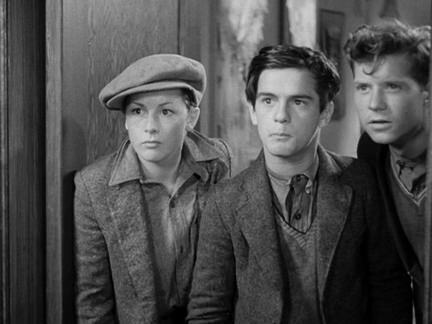 I watched this film recntlly and thought that Frankie Darro looks a lot like Jean-Pierre Léaud, from the French classic 400 Blows, also about troubled youngsters. Your review did this interesting film justice, well done! I agree. He also is a very young Jack Hawkins in the face. Thank you for your kind comments.